How many times have you seen those commercials imploring you to call 1-800-TAX-DOPE if you owe the IRS more than $10,000? They promise to resolve your tax debts for pennies on the dollar. Does it sound too good to be true? About 99.97% of the time it is. I am not going to discuss bankruptcy today, but it could be used to discharge income tax liabilities that are more than three (3) years old if all tax returns have been filed and you satisfy a list of about nine (9) different requirements. My recommendation is to consult a bankruptcy attorney for this. Over the next three (3) weeks, I am going to write more in depth explanations of how each of these other tax resolution options work, but for now I am just going to do an overview. For an Installment Payment Agreement, you supply a personal financial worksheet (Form 433-A or 433-F) which shows your assets and debts, income and living expenses. It’s just like applying for a mortgage. 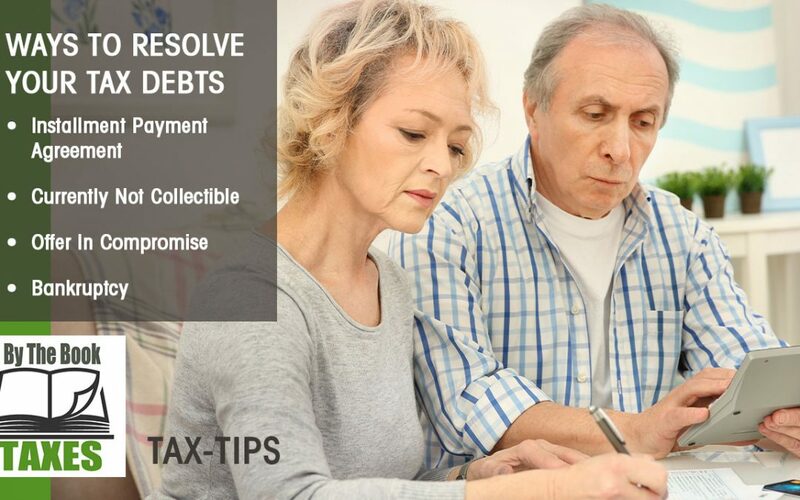 The IRS wants to determine if you have enough cash left over to pay back the tax debt within the timeframe that they have the legal right to collect it, which is ten (10) years after assessment. For a Currently Not Collectible filing, you go through the same process. If the answer is that the client has no assets to sell and no funds left after paying monthly allowable living expenses, then it would create a hardship for them to be required to pay back the tax debt. You should request that the IRS consider them to be Currently Not Collectible. In determining if you qualify for an Offer in Compromise, there is no magic here, but rather a very basic formula used by the IRS to calculate what they call “reasonable collection potential”. Reasonable collection potential is the sum of two numbers, “Net Equity in Assets” plus “Future Income”. Calculate the cash you would yield if you sold the assets that you could without creating a hardship (art, home, fourth or fifth cars) for 80% of their market value, known as the quick sale value. Then pay off the loans, like mortgages or car loans, associated with these assets. What you are left with is your “Net Equity in Assets”. Add to that figure an amount equal to either twelve (12) or twenty four (24) months of net positive cash flow from calculating monthly income versus allowable monthly living expenses. Combine those two figures (NEIA plus FI) and you have your offer.